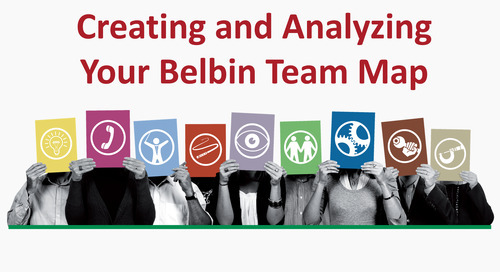 How Can I Use Belbin to Assign Work? This question really gets to the heart of Dr. Meredith Belbin’s contribution to play to our strengths and manage our weaknesses – both individually and collectively. With many of our clients engaged in project-driven Continuous Improvements programs, below are some examples of how we can use Team Role concepts in making decisions on work assignments. In chapter 9 of his book “Team Roles at Work”, Dr. Belbin outlines his thoughts on how different team roles may be required at different stages of a multi-stage project. He identifies 6 critical stages, each of which has to be successfully accomplished if a heavy investment of resources is to yield a proper financial return. For example, if the task is to approach customers to gather information on their expectations or experiences, the outgoing, enthusiastic Resource Investigator (RI) is a good choice. There may also be more complex situations where we may wish to assign more than one individual to an action item where a variety of skills could be required. Create a detailed project plan or flow chart — assign an Implementer (IMP). Proofread the plan or chart — Use a Completer Finisher (CF) . It is a common practice within Continuous Improvement programs to deliver technical training, typically with two or more instructors. When choosing pairs or teams of instructors, it is prudent to select two individuals with complementary Belbin skills. It is helpful if the instructors do a Belbin Team Map and establish groundrules for how they will work together. An individual may benefit by being assigned a coach with complementary Belbin skills. For example a very detailed Specialist/Completer Finisher (SP+CF) may value the broader perspective of a Co-ordinator/Monitor Evaluator (CO+ME) coach. Andy contributes to 3Circle Partners more than 30 years of experience in leading operational and cultural change initiatives within large North American companies. He is a Lean Master, focused on applying Lean principles and tools to the 3Circle Partners methodology.